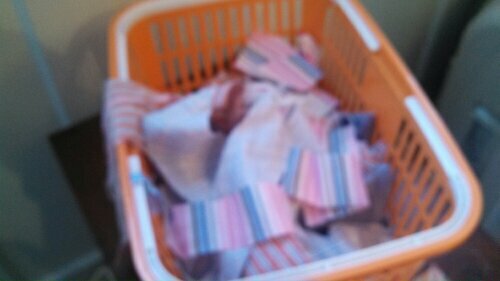 After cutting up eight thrift store men’s shirts, I had this lovely pile of home baked pre-cuts. 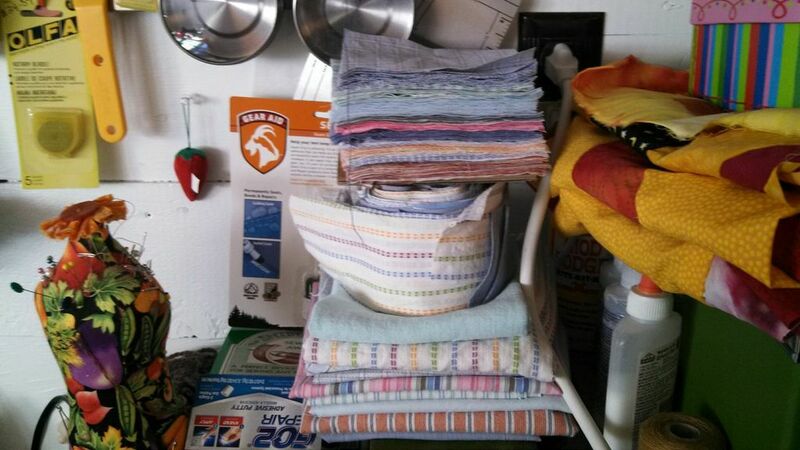 Top to bottom charm squares, 2.5 inch strips, and fat quarters. I decided to see how many blocks the scraps would yield. When you put these blocks together, the shirt stripes make spider webs, or circles. 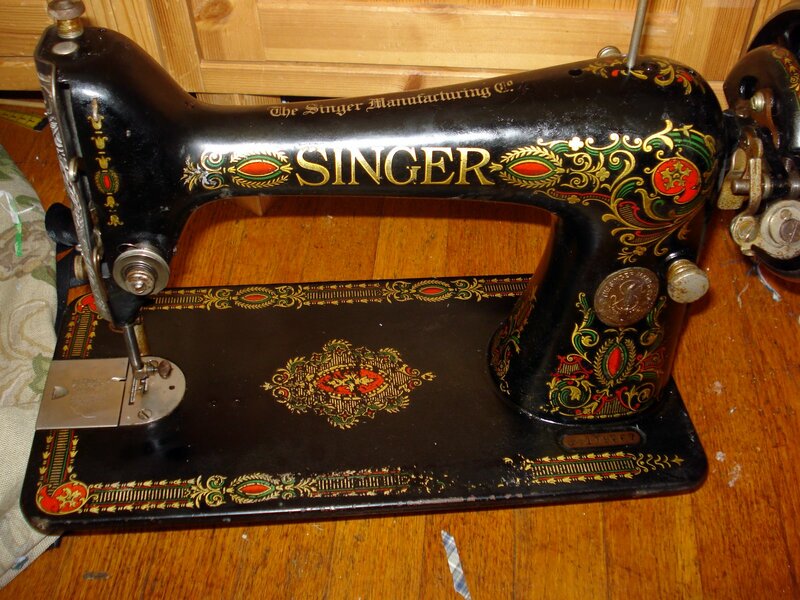 Here is a Singer 66, made in 1915, before I cleaned it with Goop hand cleaner (pumice free version), Maas metal polish, and sewing machine oil. Sewing machine oil does not damage decals, so the Goop was the first wave, then finishing up with oil. 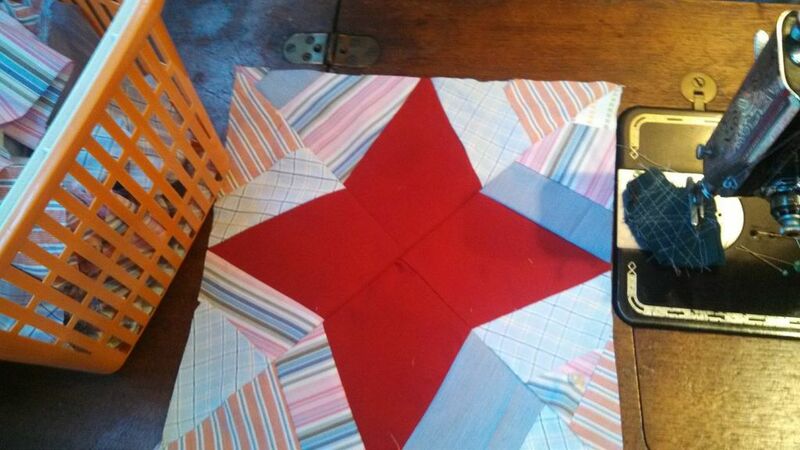 I use little scraps of cotton quilt batting to clean with. Here it is, after. This of course, is the opposite side, but I assure you the filth was spread uniformly. There was also a wee fossilized mouse in the pillar of the machine. 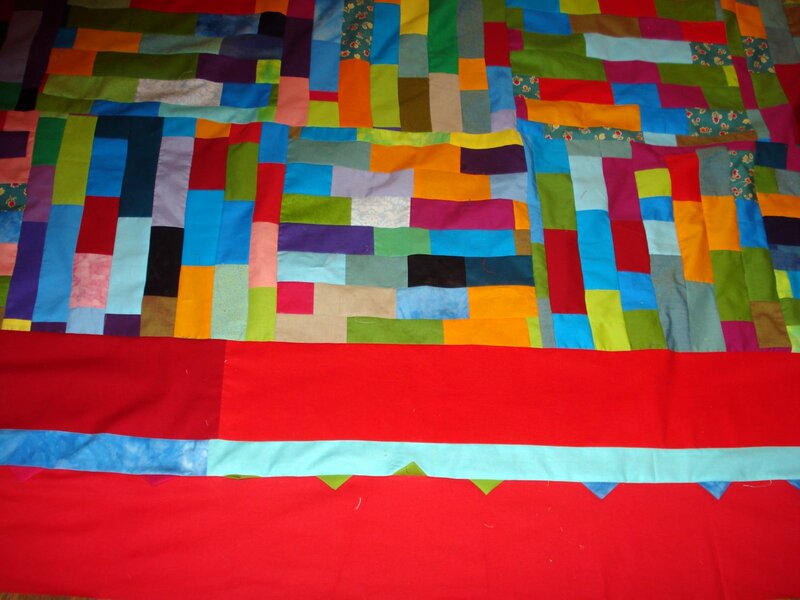 Here is my Little Plastic Bricks quilt, before. Here it is after. It really needed a fourth column of blocks, but I had just re- folded everything and was loathe to start cutting again. 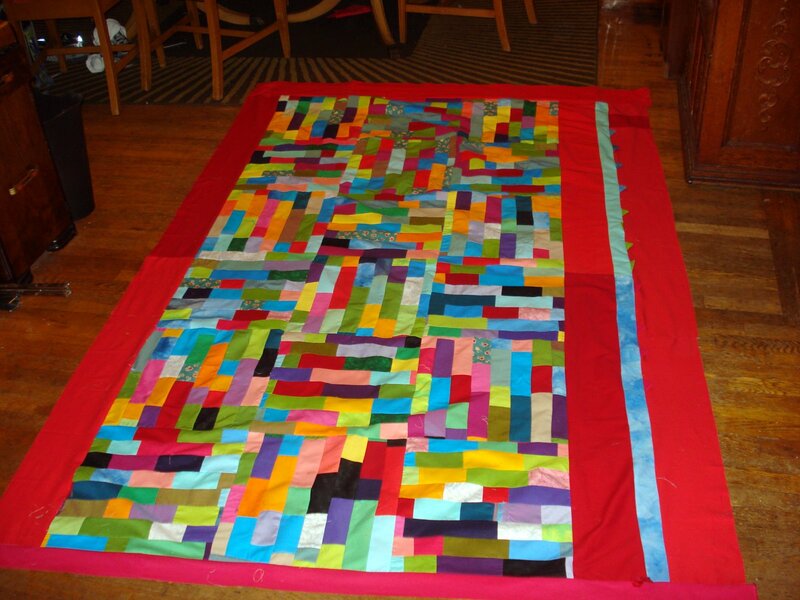 Strips were 2.5 inches, chopped into bricks, sewn back together and then that long strip sewn to itself. I used the mechanical randomizer, AKA the clothes dryer, to mix the bricks after they were cut. Thanks to John G. for that term! Below is a close up with the little prairie points I added because it seemed dull over there. Have to wait a while to quilt it- I’m broke and I need batting, so that slows things down. Maybe next month. 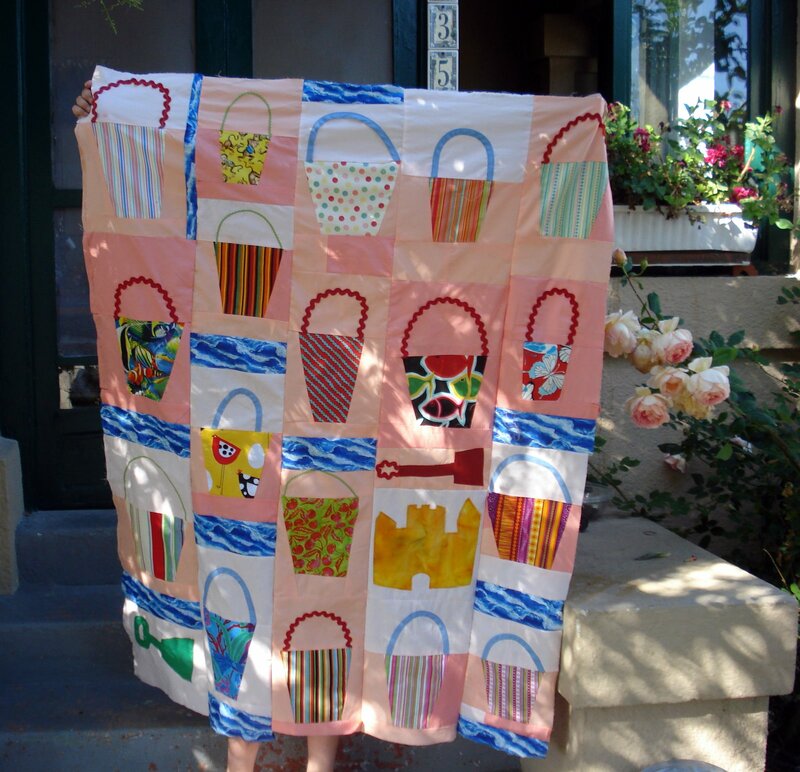 First picture is my sand pail quilt, like the one in Gwen Marston’s book Liberated Quilting. One shovel is appliqué, one is pieced. Don’t you love the cute little feet my quilt rack has? Of course, these are both just tops right now. 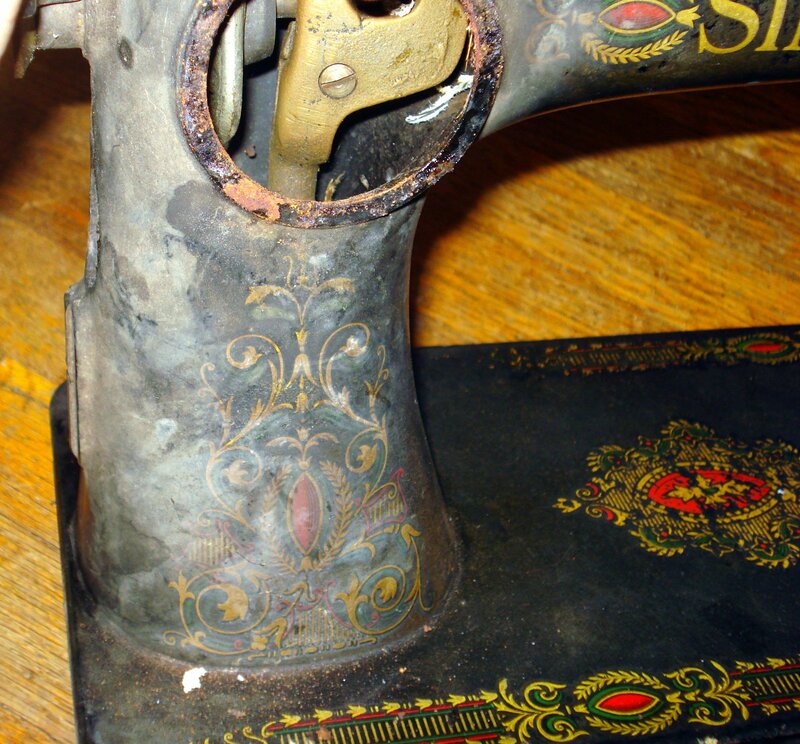 The second one was made by cleaning the floor under and around my sewing machine and sewing it all together. I think I will make it bigger, ans then I can give it to the ladies at the homeless shelter. I heard a cute story from the social worker who is my contact at the shelter. The ladies there are there for a fairly long time, as it is the kind of place that gets you on your meds and helps you clean up and get a job. 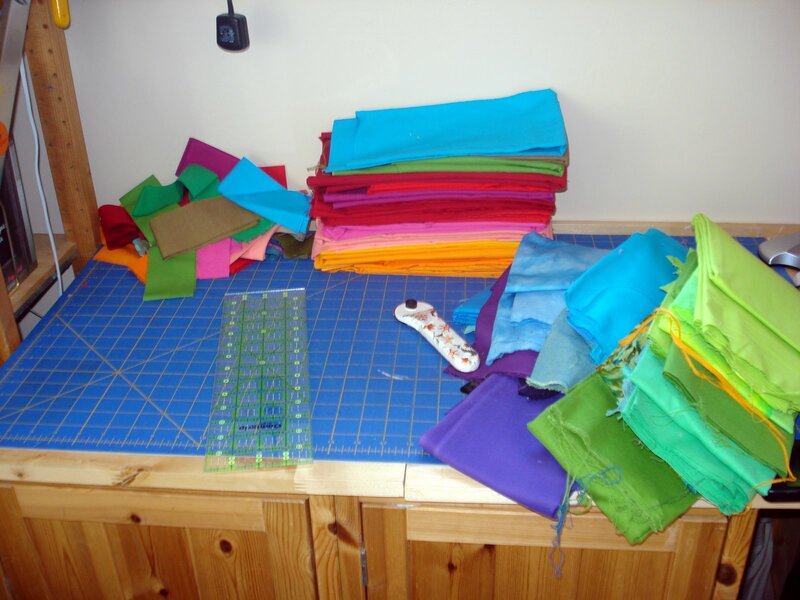 When my friend came with the first two quilts, she explained that the quilter was just one person and not an organization, and so that when I could, I would send a quilt, but it might take a really long time to make 22 ( number of beds) quilts. I had said that if the quilts caused jealousy or rocked the boat, that I would stop, because the last thing these ladies need is more boat rocking in their lives. 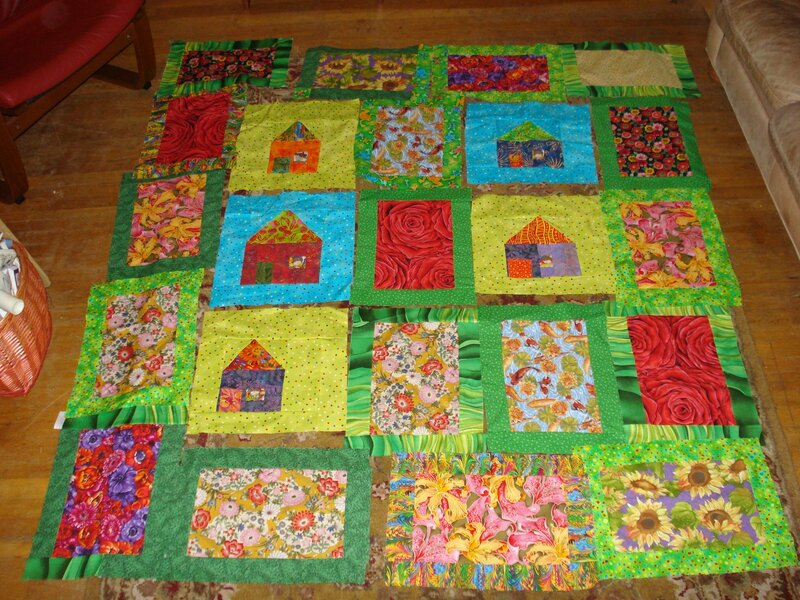 So the ladies called a house meeting and proposed various ways of distributing the quilts.This was a main topic of discussion for about a week! Finally, they settled on drawing names from a hat, and that once you got a quilt you didn’t put your name in again. I was quite pleased and proud that the quilts were such a commodity! Here’s a story I had forgotten about, until I was reminded. 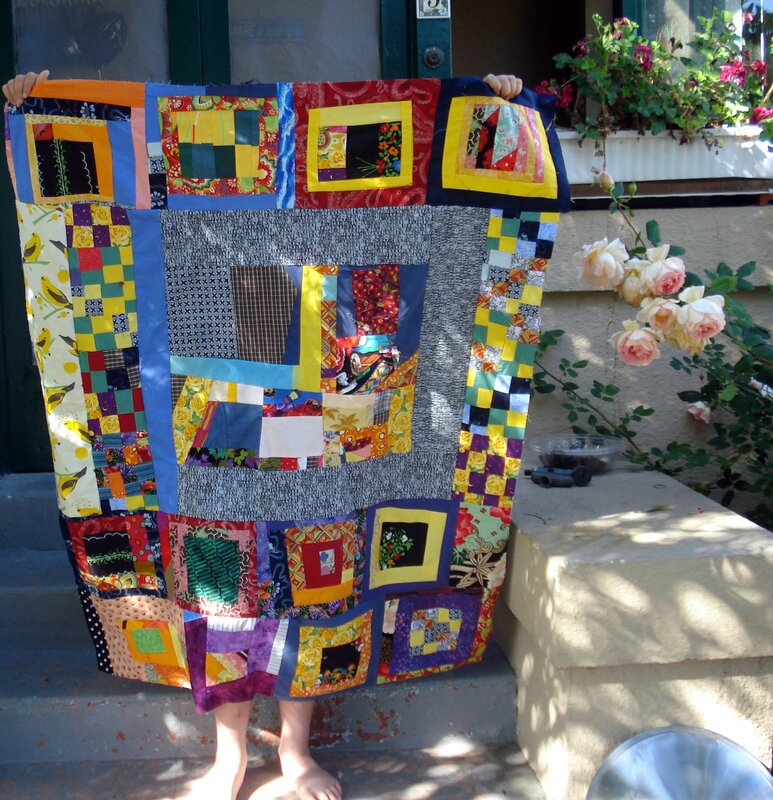 I think it cuts to the heart of how I feel about quilts, and family, and all kinds of things. Alice Walker’s Everyday Use. Who do you think should have gotten the quilts? Which is how I think of the name of the quilt I’m making. Here’s one possible layout. The spaces will either be filled with a black and white fabric in the stlye of my heroes, Gwen and Freddy, or the blocks will be trimmed to fit. I need to take a closer picture, but each house has a child’s face in the window. 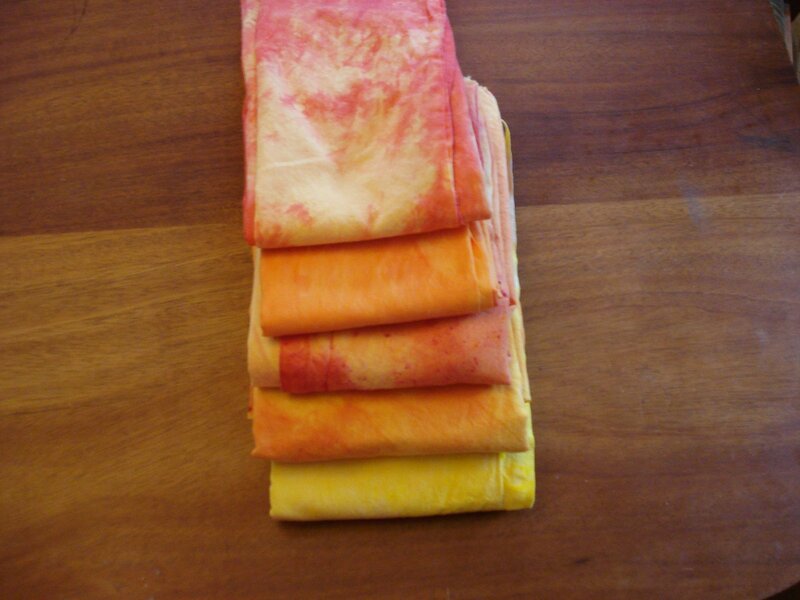 I tried to not use batiks, which was, for me, like giving up a drug. I have to say though, I’m more pleased than I usually am at this stage.